The largest pink rough diamond ever discovered, an 8.01 carat sparkler found earlier this year at Rio Tinto’s Argyle mine, in Western Australia, went on permanent display in a Melbourne museum Thursday morning, reports ABC News. The London-based company donated the $12 million Argyle Pink Jubilee diamond after it was cut and polished down to its current size, down from its original 12.76 carats. The rock is a light pink diamond, similar in colour to The Williamson Pink, which is the diamond that Queen Victoria received as a wedding gift and was subsequently set into a brooch for her Coronation. Initially estimated to be worth around $12 million, the cutting process has highlighted a number of internal flaws in the rock, which have severely affected its value. That would be the reason, experts say, Rio donated the diamond to Museum Victoria. "The individual who gets to wear this remarkable pink diamond will be incredibly lucky indeed," Argyle Pink Diamonds manager Josephine Johnson stated, according to Diamond News. She went on to say that it is unprecedented in the company's history. "It has taken 26 years of Argyle production to unearth this stone and we may never see one like this again." Though pink diamonds are not as large as their white counterparts, the coloured gems have been sought out for centuries due to its rarity. 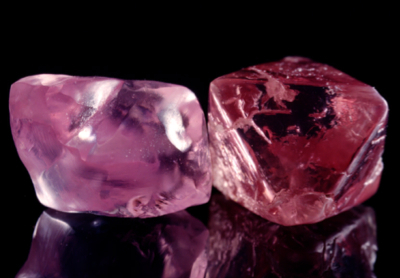 These gems take 1.8 billion years to form, comprise only 0.03% of global diamond production. Rio Tinto is also looking at selling some or all of its diamond mines, which currently include three operations: the 100%-owned Argyle in Australia, 60%-owned Diavik in northern Canada, and Murowa in Zimbabwe, of which it has a 78% interest. Rio also has an advanced diamond project in India. Last year Rio Tinto's diamond business lost $76 million, including over $300 million in net impairments relating to capital costs needed to complete the Argyle underground project.